Nusa Dua Beach is famous for its tranquility and comfort to relax. The beach is very favored by tourists while in Bali. Not only because of the white sand and calm sea waves on the coast, as well as a more natural atmosphere is cool, calm, security is maintained, as well as close to the hotel for overnight stay. Nusa Dua Beach is the best beach in Bali Indonesia. Since the first, Nusa Dua Beach has been known by foreigners for its natural beauty and texture of diverse beaches. Starting from the beach with white sand. Cluster of rocks that are very unique and beautiful. Adequate sea waves for surfing. And beach wave with a diverse and unique texture. Local residents make the Nusa Dua Beach as a place for recreation during the holidays. When Sunday in the morning and afternoon, the beach is always crowded by visiting the the relaxing and joking with their relatives. Nusa Dua Beach is a beach for a family vacation the most suitable and deserve to be visited. 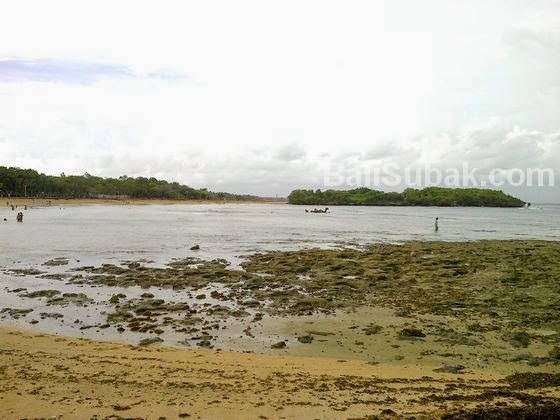 Nusa Dua Beach is also a good fishing spot and ildeal. According to local residents, the sea at this beach has a lot of fish that can be easily can only by using a fishing rod. On the west coast, on Water Blow, there is a group of rocks by the sea in a place that is perfect for fishing. Every afternoon the place is always crowded by fishing hobbyists. Nusa Dua Beach is also a place for jogging by tourists and local residents. Jogging around the beach is very nice. There is a fairly wide joding tracks with green landscape. Jogin can be started from the entrance area of the BTDC, up to the end of the beach at Water Blow. And back again to its original place. Every afternoon and Sunday morning, Nusa Dua is always crowded by local residents who want to jog. Hotels around the coast of Nusa is a five-star hotel. This area is also frequently used as a venue for the international event. MICE is an activity that is often held in Nusa Dua. With adequate facilities and accommodation, make the Nusa Dua is a great base for international ivent. Nusa Dua Beach has two very different parts far, the north and south. The northern part is the beach which is free to use by anyone for fun. While the southern part is a private beach that has been managed by the hotel which is near the coast. The north is a gathering of people from various countries, local residents, and local tourists who want to enjoy the scenery and relax. When held international events that require a greater level of security. 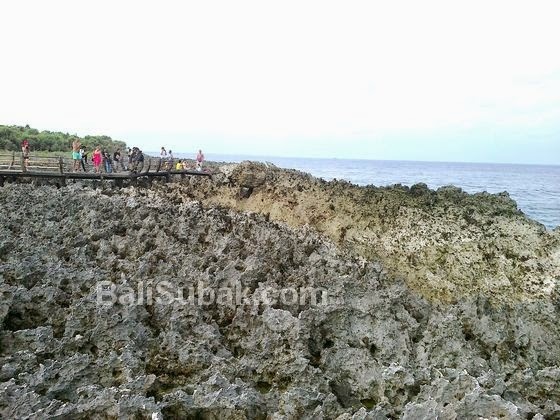 Nusa Dua Beach is closed to the public. To maintain security and ensure all locations have been considered safe. When the APEC Conference held in Nusa Dua, Nusa Dua Beach is closed to the public. Many people are disappointed with this condition. Especially the tourists who want to see the beauty of the beach. Not the best beach, In December a lot of people from Java are visiting Nusa Dua. Specially if you are near the Port, the whole day speedboats, bananaboats, waterjets etc.are passing by. Not fun to be there.